The University has had connections with Lebanon through its alumni since the mid-nineteenth century. 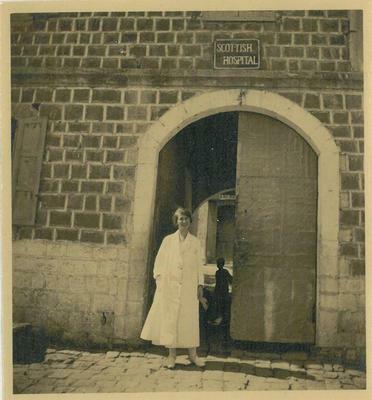 Former medical graduate and medical missionary, James Bowen Thomson travelled to the region where met his wife, the founder of the first schools for girls in Lebanon. 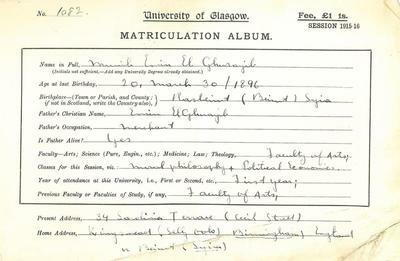 Among other early alumni who held connections with Lebanon were the sons of Glasgow-based merchants, who became merchants themselves in Beirut. 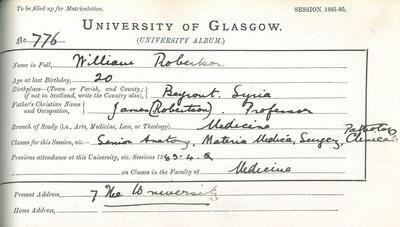 Between 1880-1965, the University welcomed six Lebanese-born students, the first being William Robertson (MBCM 1887), whose father, James Robertson was Professor of Oriental Languages at the University and founder of the University's Oriental Society. 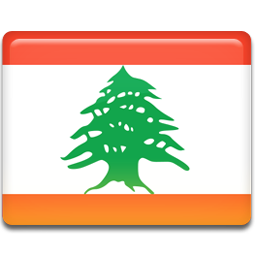 Following Lebanon's independence in 1943, four students attended the University, having mainly come to study Mechanical, Chemical and Civil Engineering. * This is the earliest graduate associated with Lebanon that we have found. There may have been others we haven't found yet, or who studied at the University but didn't graduate.